Want to hold onto the last of Summer? 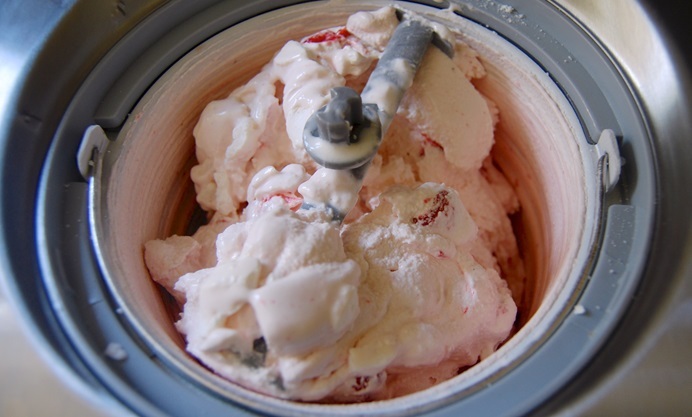 This Eton mess ice cream recipe is a delicious way to preserve end of season strawberries. Now September is inching closer and closer, those of us who are complete sun seekers are working overtime trying to dream up ways to hold onto the last of Summer. I think a great way to do this is through preserving the last of the Summer produce, and I think ‘preserving’ should mean hell of a lot more than just making jams or chutneys. 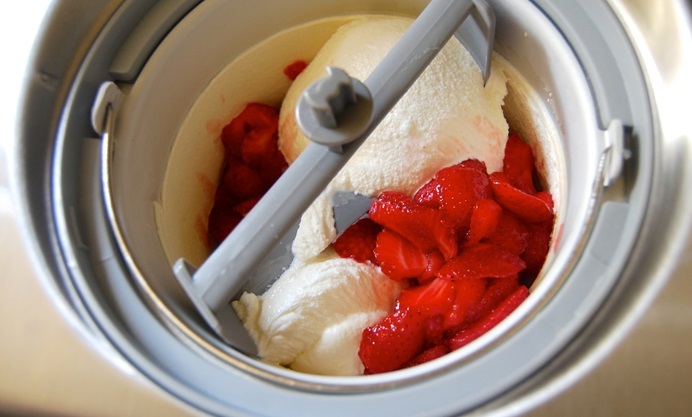 My favourite way to preserve fresh, juicy end of the season strawberries is in homemade ice cream where the fruit can really sing. 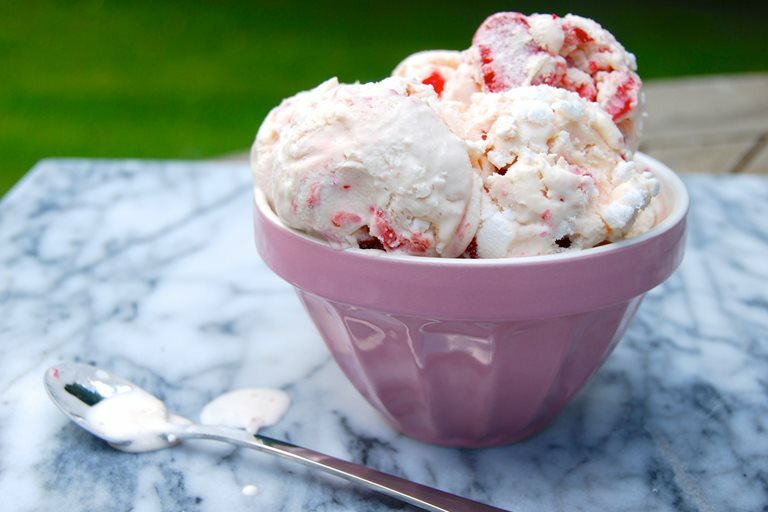 Eton Mess is more of a beginning of the Summer dessert, evoking memories from Henley to Wimbledon, but I would like Eton Mess Ice Cream to claim the spot for when the Summer is winding down to a close. It tastes exactly like a mountain of cream, meringue and English strawberries should, but it is just that little bit better because it is in ice cream form. 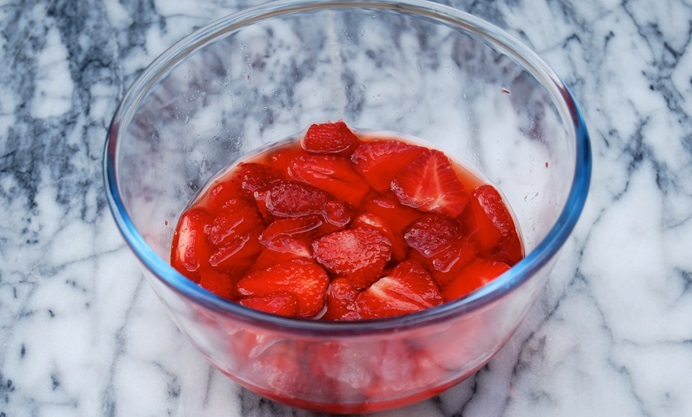 The leftover strawberry syrup from macerating the strawberries is also great muddled up with some fresh mint or basil, poured over ice with a shot of white rum or gin, and topped up with soda water. Also, a little note on the meringue. 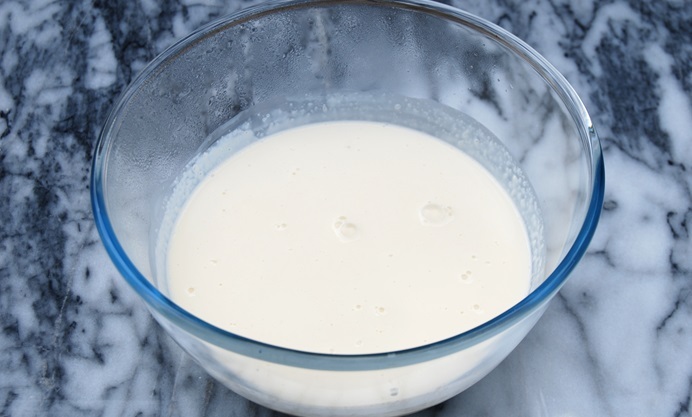 Shop brought meringue has a much more stable structure than most homemade versions, which will dissolve when frozen. Therefore, shop-bought is best for this recipe.